However, for my own valid reasons, I chose to hike out and down to my car for a drive into Town (Windham) so I could call Hoang about some personal matters. If I didn’t do that, I wouldn’t have been able to talk with her most likely until afternoon the next day – and I simply didn’t want to wait. So instead, I chose to put off some other CAT35’s for another time and to knock out the Black Dome Range in one morning and see where I was after that as far as time constraints. 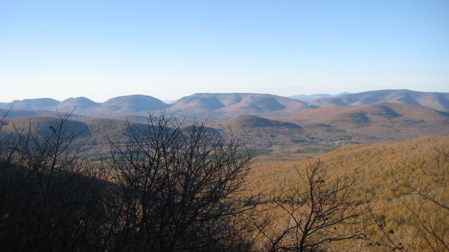 The triple-headed Black Dome Range (Blackhead, Black Dome and Thomas Cole from north to south) is one of the more recognizable panoramas in the Catskills. I’d spent a good portion of the 10 mile hike the day prior staring across the valley at the three 3500 foot peaks, eager to ascend each of them. 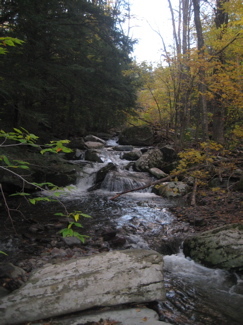 The range is also said to be one of the more popular hikes in all the Catskills, so on a perfect October Saturday, I expected a lot of company. Having slept fairly well, only woken a couple times – once rather awfully by marauding coyotes – I overcame the idea of driving in to town for a coffee before my hike. Barely. The first 1.4 miles were retracing my steps from the previous afternoon; although this time I was going up rather than down. The climb out of the hollow is constant, but fairly gradual all the way up to the junction with the Batavia Kill Trail. 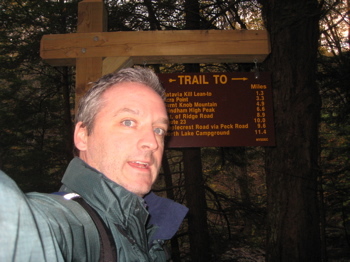 Continuing up the red-tagged trail, I was initially a bit hesitant about what was to come. The first mile or so is more or less a straight shot up the mountain. With about half a mile to go to the ridgeline between the Blacks, the most amazing thing happened: Switchbacks in the Catskills! I couldn’t believe it! I think this series of maybe six switchbacks are the first ones I’ve encountered thus far in the Cats! I positively jogged up those things – stopping of course for the first view of the morning, and what a view it was! 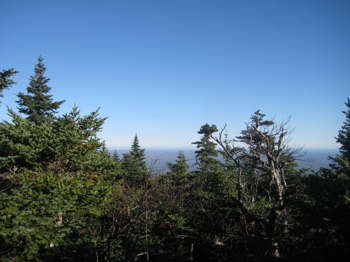 The trail reaches the junction with the Blackhead Mountain Trail in a nicely shaded glade of birch and beech trees in the col between the Blacks. I barely paused as I wanted to get to my first summit of the day. I turned left and began climbing up to the tippy top of Blackhead. It was only .7 miles up to the summit, but these aren’t exactly fast miles, as there are a few dicey places that requite four limbs touching earth. 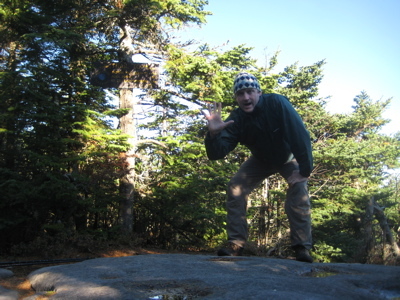 There are a few exposed outcrops on the way up which afforded me my first real views of the range to the south – Hunter, Sugarloaf, Twin, Big Indian… The temperature also dropped a good 15 degrees or so once I was on the part of the mountain the sun had yet to hit. Near the top, the trail levels off and snakes its way through a now all-fir forest. It seems once we get above 3700 feet or so, the deciduous trees disappear rather abruptly. 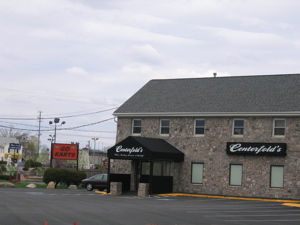 (This is where Blackhead and Black Dome get their names, by the way.) 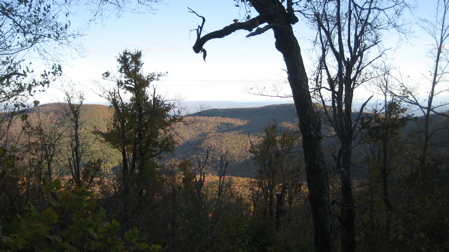 There is no summit marker, per se on Blackhead, but the highest point is where the Escarpment Trail crosses a big rock and the Blackhead Mountain Trail ends. There are some iffy views north from here, but nothing to get worked up about.